Well, now Steve is a Firefox user and and has embraced the NoScript add-on. He went on and on about NoScript in Security Now 168 where he talked about clickjacking. If you don't know what that is, go listen but don't loose any sleep about it. Steve: The reason I didn't want to skip this question was this was when I planned to confess. Leo: You turn it off. Steve: I've turned it off, too. So that got me to wondering how many people actually TRY to surf this way. Here's what my blog readers look like. This blog is on the left. WhereIveBen is on the right. I was listening to Windows Weekly last week and Paul Thurrott mentioned Microsoft's Baseline Security Analyzer. 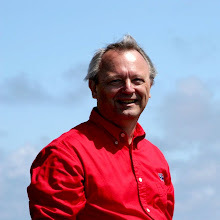 Leo Laporte then mentioned Secunia's PSI (Personal Software Inspector). I had heard about it before but it was a long time ago. 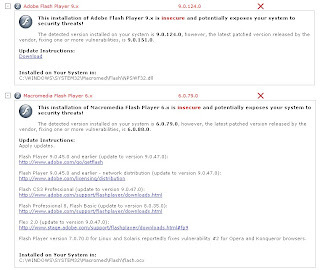 Secunia's PSI has a much broader scope than Microsoft's so I went poking around looking at it. Leo had also mentioned that Secunia had a similar Online Software Inspector. This doesn't require an install as it's a Java applet (here's where the good stuff starts) but only scans less than 100 programs. Even so, that list is a pretty good start. So I read on. There was a bright red link in the right column that caught my eye. When I followed this link, There was a discussion of a newly discovered exposure in Sun's Java Runtime Environment (JRE). It's pretty geeky reading and has a link to CERT's blog post on it (interestingly entitled "Signed Java Applet Security: Worse than ActiveX?"). Go read it for yourself and then either take the steps in the CERT blog article or just run the Secunia OSI and it'll do it for you. So I had my menu working great on my new USB drive. 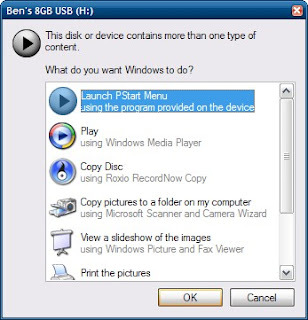 What I wanted it to do was to give me an choice to run PStart when I plugged in the USB drive. I had noticed that my wife's USB drive that she runs Allway Sync from gave her that choice so I went looking there. All I could see different on it was an autorun.inf. There had to be something in there. It looked pretty normal but it had an entry I wasn't familiar with: action. ACTION is a relative new command that was introduced in Windows XP SP2. It is not supported in earlier Windows. This command specifies a text that should be shown as the first option in the Windows Autoplay dialog, together with the icon specified by the ICON. This option is always selected by default and if the user accepts the option, the application specified by the OPEN or SHELLEXECUTE entry in the media's Autorun.inf file is launched. There also was a link to an MSDN page. Here's what it looks like when I plug it in. Just hit Enter and you're off! A guy at work has been working on a green project involving putting PCs into reduced power states. He had a Kill-A-Watt so I borrowed it and brought it home. My tests were clearly unscientific but I tried to be consistent. I tested 4 laptops: a ThinkPad T42, a Dell D410, an Asus Eee PC 1000H, and a ThinkPad T61. I ran each through 4 scenarios. First was a Steady state. XP was booted and "idle" as I wasn't intentionally running anything. I made no attempt to stop background tasks. Next, I started a search of the hard drive for a character string in a file name that would be unlikely to be found. During this I subjectively recorded the Search value and the Peak value. Lastly, I put each system in Standby. The LCD was powered on and the battery was fully charged in all tests. The Kill-A-Watt only recorded whole Watts so there is probably an issue with resolution in the Standby readings. It read 1 Watt when nothing was plugged into it. The Asus Standby effectively read no power draw but that can't be accurate. This is likely an issue with the resolution mentioned earlier. 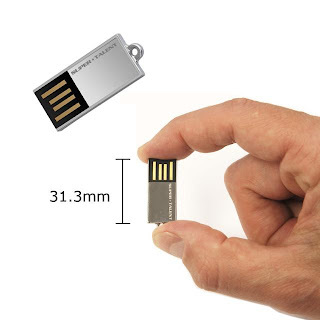 I was enamored with my U3 USB drive. 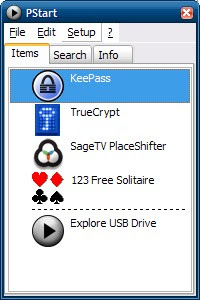 It really did work well for me but my primary use was for KeePass. 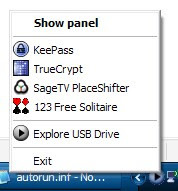 KeePass doesn't directly support U3. There are a couple of independently done U3 packages but I couldn't figure out how to incorporate my backup plugin. I had created my own package but it didn't use the U3 wrapper to shut down KeePass when I used the U3 launchpad to eject the drive. And then when I handed my drive to somebody to share a file with them, I had to tell them to hold down the shift key while they inserted it so the U3 launchpad wouldn't run. They'd always look at me like I was from Mars. Then my wife lost (and then found) the cap to her USB drive she runs Allway Sync from. So I started searching for her a USB drive that didn't need a cap. I came across Super Talent's Pico-C. I got her one at SuperMediaStore. Believe it or not, they're cooler than they look. I had to have one myself. So I got an 8GB from SuperMediaStore and moved my content over to it. But wait, now I needed a menu! I've used a couple of PortableApps but while they worked great, I didn't like the branding. I thought maybe I could use their menu system and delete all the branded stuff. Then I stumbled across PStart. Perfect. The menu starts empty and you can just right click and add items. There's lots of flexibility to tailor the menu. There are just 2 files involved: PStart.exe and PStart.xml. It's so clean. It puts an icon in the system tray (I'll get to how in another post.) A single left click brings up this menu. A left double-click brings up the "panel." Hitting Esc even dismisses this panel!